In response to queries about the unique-to-Japan cars, the GC-21s (nos. 3 and 4, above) are spec-built. Underneath they are F3 chassis, carrying a 2.0-liter Toyota engine. The Mooncraft company, also known as MCS, reconfigures them into full-bodied center-seat, single-seat sports cars. 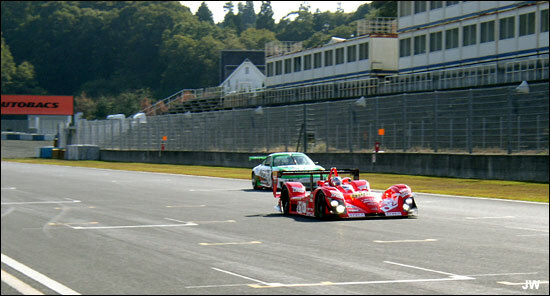 There is a GC (Grand Champion) series in Japan, typically held as support events for various GT and Touring car series. 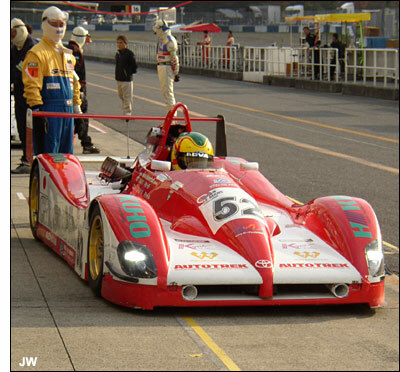 Oscars, such as #52, were originally built for a small Can-Am like formula of the 1990s. 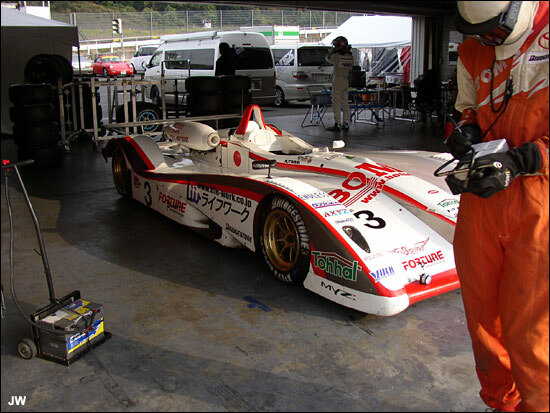 They are most noteworthy as regular competitors in the Suzuka 1000, long Japan’s premier endurance race. However, that event reverted to the Super GT series this year and thus the Oscars lost one of their homes. The JLMC is a good haven for them. 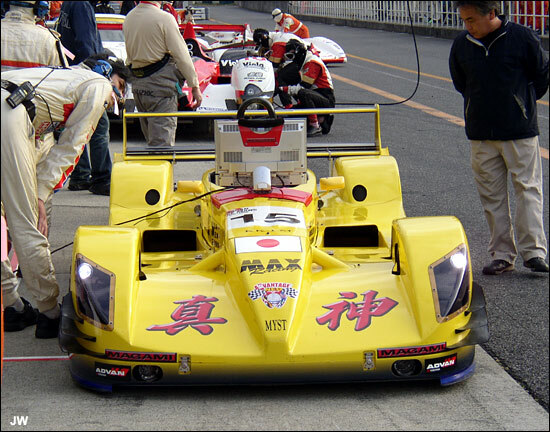 Tomokuni Waki is one of the drivers in #52, below. The No. 15 Oscar, designated RS.KK-LM is an exception. It was built for this series with a Honda S2000 motor. 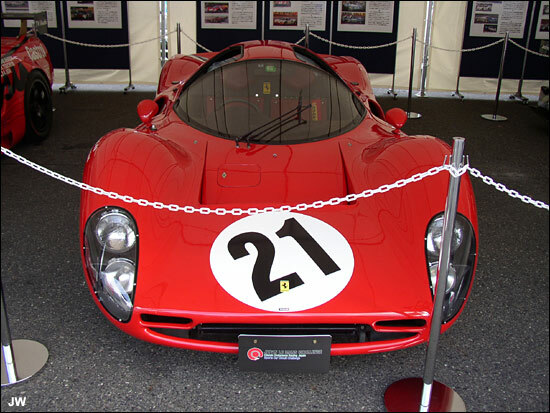 The key difference between the Oscars and GC-21s is that the latter were bred for sprints, the former for endurance racing. Other Oscars house Toyota or Mazda engines. As to why some Oscars are in P1 and others in P2, consider this. 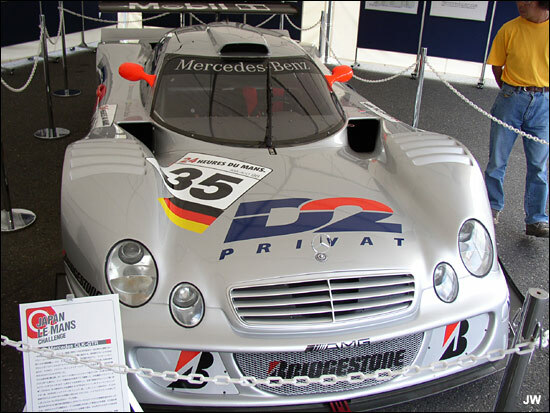 At the beginning of the season the Zytek was the sole entrant in P1. A championship cannot be held with only one car. You can insert the reason why some are in P1 accordingly. Culture notes: It is interesting to compare and contrast Japan with either North America or Europe on the one hand, and North America with Europe on the other. Certainly, there are vast differences between Europe and North America, not to mention between the European countries. However, there are common threads, many of which can be traced to the fact that most Americans trace their roots across the Atlantic. Now consider that all three of these regions, North Am., Japan, and Europe are more or less equally advanced technologically. One might then postulate that socially and culturally they are more or less the same—wrong. That is what is perhaps most fascinating about Japan. It is at least as, if not more so, advanced technically than the other two regions, but in many respects very, very different culturally. First and foremost is the emphasis on order, formality, and responsibility. These are all traits the West had at one time but they are no longer pervasive. They are fundamental attributes here. An example of formality: train conductors step to the front of the coach, belt about greeting the passengers, bow, introduce themselves by name and then ask for your ticket, which you hand to his white-gloved hand. He does this within each coach on each run of the train and seems very proud of his job. If I had to do that for a week, I’d toss myself onto the tracks during the second week. An example of your responsibility: were you to have the wrong ticket, no doubt you have passed on shame to your ancestors. One of the benefits of all this is that the Japanese rail system makes the German one seem to be lackadaisically Latin by comparison. If your watch says 21:52 when the 21:51 train pulls into the platform, it’s time to get a new watch. The city buses have white cloth covers on the headrests. How long would those last in London or New York? Okayama is awash with thousands of bicycles. People park them in front of homes, offices, shops. Perhaps 3 of every 100 is chained to anything. Along those lines, as I write the above I know that it is 10:35, not by my watch but by the fact that the 20 engines below me have fired in unison for the 60-minute drivers’ qualifying period. Each of the assigned drivers must lap within a specified percentage in order to start. However, given the small fields for this series, these requirements have been waived before. In nearly every case, the fast drivers have taken the early laps. However, we’re not sure who that is as the screens are not showing names—in any language (not quite perfect then Janos. Ed.). The Zytek sets an early 1:22.581, followed by the Courage’s 1:23.714. The P2 contest does seem to be the interesting one as now the Oscar-Honda is quickest at 1:29.007 over the No. 18 GC-21 of Shinsuke Yamazaki at 1:29.506. The Lamborghini continues to be the fastest GT car at 1:30.226, then one of the other GC-21 entries (No. 4) at 1:31.209. Only then comes the GT1 championship leading Ferrari at 1:31.976. Another GC-21 (No. 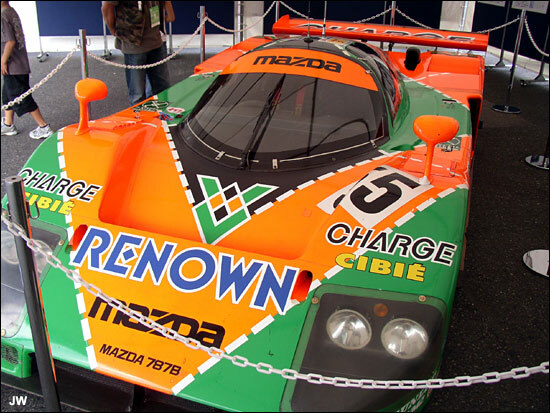 3) is at 1:32.633, then the Oscar-Mazda (No. 111) at 1:33.305. The GT2 title leading Porsche (No. 27) is at 1:33.323. Right on schedule, the three-driver cars stop at the 20-minute mark and hand over to the second person. In nearly every case the times have not improved, the key exception being the fast car of all, the Zytek now at 1:22.015. The two Mazda GT2 cars seem to be the only ones in trouble of making the cut. No. 7 is down around 1:46 and No. 8 is about two seconds slower than that. It is an improvement for the slowest car, but their session has been cut short with a mechanical black flag. The principle reason for the difference between the Zytek and Courage times is the extra 100 kilos hauled by the French car. 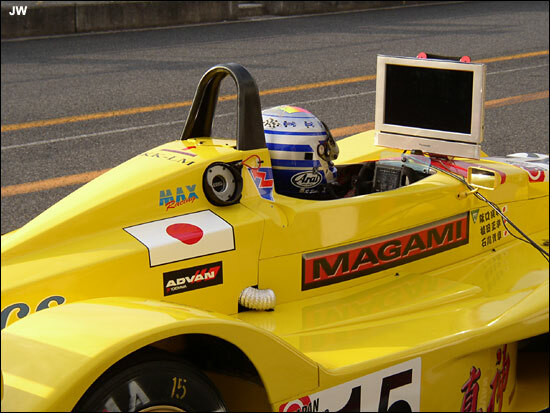 The Mugen powered machine is set for 2006 rules while the English constructor’s car is at 2004 levels. The No. 16 team had asked for a dispensation but were refused. 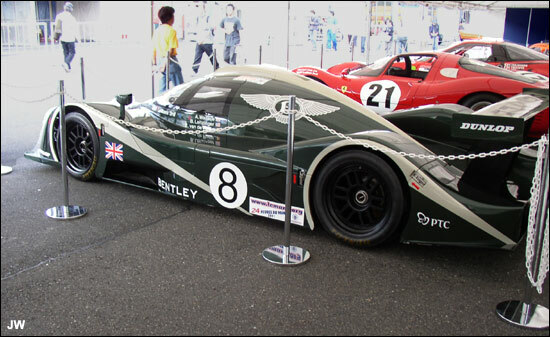 There were also rumors here that the JLMC tried to entice Aston Martin to enter the final round but the Yen wasn’t there. There was a state of the series press conference given jointly by Eiji Uzushiri (president of Cox, the JLMC promoter), Taji Kobayashi (president of SERO, the JLMC organizer), Daishiro Hosoi, general manager of the Okayama circuit, Patrick Peter (on behalf of the CERJ historic series), and Daniel Poissenot (president of the ACO), although the last named did not say anything. Peter waxed upon the excellent historic series and how it mirrors the similar one within the LMES and the Le Mans Historique. There are about a dozen historic cars here, including an old MG, a couple of 1960s 911s, a fast but not pristine 904, a Lotus Elan, and a quite nice Alfa Romeo TZ. 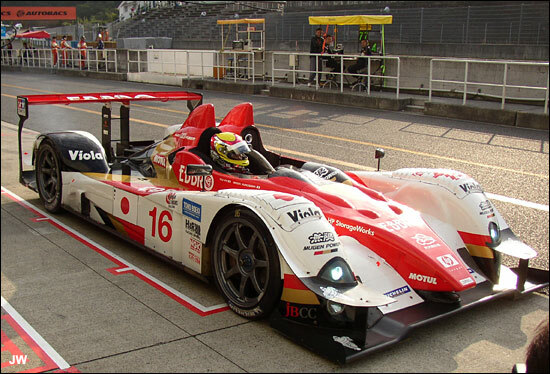 The 2007 schedule (detailed yesterday) was unveiled, with much fanfare about the expansion to Fuji. Mr. Uzushiri discussed how they hoped to have a dozen Prototypes and a dozen GT2 cars next year. I am expressing hope that Santa will leave me a 550 Maranello. There is hope that some Japanese entrants with new 997s will come aboard. Far and away the most interesting aspect of the conference was the announcement about an entirely new car aimed for the new Le Mans coupe regulations. It is being developed by Tokai University and is under the direction of Professor Yoshimasa Hayashi. 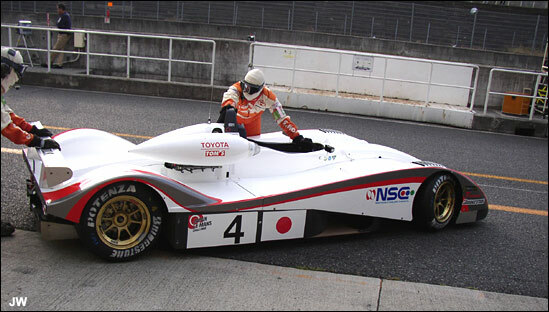 He was behind the 1980s Group C Nissans and had since left for an academic career and has decided to take on this task. The qualifying for the grid is taking place under warm dappled skies. Unlike at the ALMS, the Prototypes go first here for their 20 minutes of fame. Quite contrasting strategies between what could be considered the four front-running teams, the No. 18 and No. 15 P2 cars, and the two “real” P1 cars. All but the new Oscar waited until the end of the session. Thus the No. 15 was on top with a 1:28.517 and then pitted to wait if they would have to go out again. Shinsuke Yamazaki was unable to better it when he went out so the GC-21 will start fourth. Quite straightforward ahead of them, as the Zytek and Courage will occupy the front row. The Lamborghini remained blindingly fast in GT1 although the gap between it and the Ferrari has narrowed. The No. 27 Porsche is several seconds clear of its nearest competitor, the No. 77 Proto Works 996 that is making its series debut here. Lots of praise for the crew of the No. 8 Mazda. It was largely in pieces when the Prototypes headed out but somehow they put it together in time to get a few laps of running during the GT session. By contrast, the No. 5 Porsche remained on its jack stand all afternoon. The race tomorrow starts at 11:00, with a 30-minute warm-up at 08:00. Don’t even think about me calculating time differences. The race will score 10 points for the class winners. There’s something in the rules about the number of entrants determining half or full points. Sayonara till then.